According to the Brewer’s Association, as of 2017, there were 6,266 craft breweries in the United States alone. That’s over a 60 percent increase since 2012. Without a doubt, the craft beer craze has exploded in the past decade, and it’s easy to understand why. If you’re used to simple-flavored, mass-produced beers, then the subtle, nuanced, and occasionally exploding flavor of craft beers is a whole different world. Some people devote all of their senses to just appreciating it. Let’s first take a look at storage. Before you can even enjoy that malty, citrusy, or hoppy first sip, storage is the obvious first step. Improperly storing your craft beer can lead to flat and bland beers, whether they’re considered craft or not! Here are some important notes about proper storage. Honestly, there’s a lot of reports out there about storing beer at cold or room temperature. Some will say that room temperatures allow for more maturation and aging, bringing the best of the flavors out, while others say that cold is best for preservation. Most people think simple refrigeration is the best course of action, but some sources may say otherwise. Opinions will probably vary as widely as the various types of beers you enjoy! One thing’s pretty certain, though, and that’s to keep your temperatures consistent. Whether cold, slightly cold, room temperature, or otherwise, you don’t want to be going from one extreme to another. Unless you’re making the beer entirely on your own, some variables are out of your control. For example, beer may go from a brewery to a cold truck, to a warm room, to your door. All in all, you should try to keep the temperatures that are in your control as consistent as possible. Going from a cold refrigerator, to a warm garage, and back to cold fridge can be damaging to the quality of the beer. Have you ever wondered why bottled beer tends to come in brown (or sometimes green) bottles and not clear? That’s because light can be very damaging to the quality, and is also why cans have become so popular in the world of craft beers. Basically, just keep them out of the light. Your keg itself is going to help with this as it’s almost certainly not going to be see-through, but containing it in a dark environment is going to help that much more. Your craft beer kegs should maintain a pretty ideal level of pressure. In general, it should be in the range of 10-12 psi. The point here is that if your pressure is too low, then the beer is going to come out foamy and flat. If it’s too high, then the beer will pour too fast at first and will quickly lead to foamy and flat. Needless to say, if you’ve ever been to a party with a beer keg, foamy and flat are your worst enemies. If you’ve ever worked in the food or service industry, this is a mantra you’ve heard plenty of times. “First in, first out,” or FIFO, is the idea that you take out or use whatever was first put into storage. If you happen to have a lot of different kegs lying around, then you don’t want to be pulling the same ones out time and time again, leaving certain ones sitting around for ages. Unless you’re specifically aging (more on that later), you generally want to take out your oldest kegs first. Enjoy your craft beer kegs as fresh as possible, and save the newly stored ones for next time. If you have more than one keg, then hopefully you have them labeled. This may not mean as much to you unless you’re actually running a bar, but if you enjoy a wide variety of types and styles, then sort them based on that. You don’t want to be reaching for a Belgian White and end up with a Porter. If you’re not paying attention, then the color, aroma, or flavor is most certainly going to catch you off guard. And if you’re hosting a craft beer party and everyone’ expecting a light Belgian, then that accidental Porter is going to be a bit of a party foul. Then again, who knows! Maybe it will be the surprise hit. The point is you probably want your “happy accidents” to be less accidental. Again, this for those of you multiple kegs. You’re going to want to sort of play a game of Tetris or Jenga here. Whether you’re storing your craft beer kegs in a garage, walk-in closet, basement, or pantry, you’ll want to make sure everything is arranged so that you can easily access what you want without moving or jostling kegs around too much (if at all). Similar to the idea of FIFO, placement is important. If you want to grab that first keg of IPA you stuck in the back of your Terra Cotta army of kegs, then make sure you’re not shimmying over a million other craft beer kegs to get to it. There’s a good chance you might knock one over or roll some around accidentally, which will lead to upsetting the beer. In a gas-filled environment like a keg, it will pour foamy and flat, and that means wasted craft beer. That’s like wasting liquid gold, so make sure your storage room is organized. Now that we’ve covered storage, it’s time to talk about the fun part. Just like with storage, there are a few key points to keep in mind about serving and we’ll go over some of them here. No matter what precious craft beer you’re storing, where you’re storing it, or what you’re storing it in, the tap is going to be a very important aspect of serving. If you’ve been to your fair share of college keg parties, then you’re familiar the hand pumps or air pumps. With pumps, there’s a plunger attached to the tap, you pump it a couple times to remove the air and then you pour. It’s simple, but it’s also going to be very bad for your craft beer kegs. These types of taps serve their purpose, but they quickly introduce air to the beer and your beer is going to oxidize. Oxidized beer is going to be bland and eventually just tasteless. Beer of this caliber isn’t just any old beer. If you wanted a Bud Light, you’d go to the cheapest place in town. Therefore, CO2 taps or CO2-Nitrogen systems are the much-preferred methods as far as tapping is concerned. CO2 systems force the beer out of the keg and into the glass, but thankfully CO2 and Nitrogen are inert when they come in contact with the beer. With this kind of system, you can guarantee a flavorful and perfect pour every time. Not only should you be looking for these kinds of taps, though, you also want to look for ones that are of good build quality and materials. Quality vendors will produce them with all stainless steel pathways and even use stainless steel 304 in most situations. Different faucets produce different pours. You may want to consider faucets that allow you to have control over your pours and, just as with taps, come with high-quality stainless steel construction. Consider what you’re trying to pour, as well. For example, some faucets are specifically designed with Nitro or Stout beers in mind. Have you ever shaken up a bottle of beer and then popped the tab on the can or removed the cap? There’s a good chance you probably experienced the “Old Faithful” of beer explosions. This is due to proteins developed during the brewing process which attract carbon-dioxide molecules. Too many carbon-dioxide molecules can gather at the top and cause the beer to gush out. This was technically already discussed in the storage phase, but it applies here as well and right up until the beer is poured. 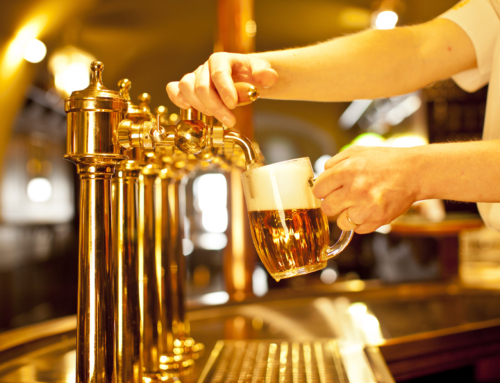 You don’t want jostled or unsettled beer before serving, so make sure to be steady while handling your craft beer kegs for a flavorful and foam-free pour. In fact, whether your craft beer kegs were kept neat and tidy in storage or not, it’s probably a good idea to let them settle for a while before tapping anyway. It’s a good idea to let your keg sit idle for about an hour or two before serving. Regardless of everything else, the pour is like the opening of the main event. If the tasting itself is like the Olympics, then the pour is like the famous opening ceremony. To be honest, pouring from craft beer kegs is sort of an art form in itself. Entire courses are even devoted to it. First, don’t let the glass touch the faucet. Keep the glass about an inch below the faucet. Second, angle the glass. There might be some debate about how much to angle it, but generally, about a 45-degree angle is good. Third, grip the handle and quickly pull it forward all the way. You don’t want to half open the flow of beer, otherwise, the foam will more easily pour out. Fourth, hold the glass in place until it is about halfway filled. Then, slowly start to tilt the glass from your 45-degree angle to an upright position and let the beer flow into the center of the glass creating a small layer of foam at the top. Finally, push the handle all the way back to a closed position and let the beer settle for a moment. There’s no need to shave foam off the top. Just give it a minute; it will settle on its own. Here’s an important side note: don’t let the faucet sit in the beer itself, especially if you’re serving other people! We’ve been talking a lot about how to properly store and serve your craft beer kegs, but we’d like to touch on a few aging tips for a moment. Pretty much everything that was discussed before still applies here, but there are a few more things to keep in mind. Unless you’re brewing beer on your own, chances are you’re probably buying from other breweries and storing and serving for yourself, friends, and family. Therefore, the brewery has already probably aged the beer to an optimal age and there’s no need to continue. When in doubt, aim for drinking your beer as fresh as you can. As a rule of thumb, keep the beers you age at 7 percent or higher abv. This is subject to debate, but the higher the alcohol percentage, the more quality and complexity the beer will carry over time. With all of the different varieties of beers, it’s hard to have any sort of hard-fast rules. That’s why the type of beer your aging may determine how long you want to let it age. 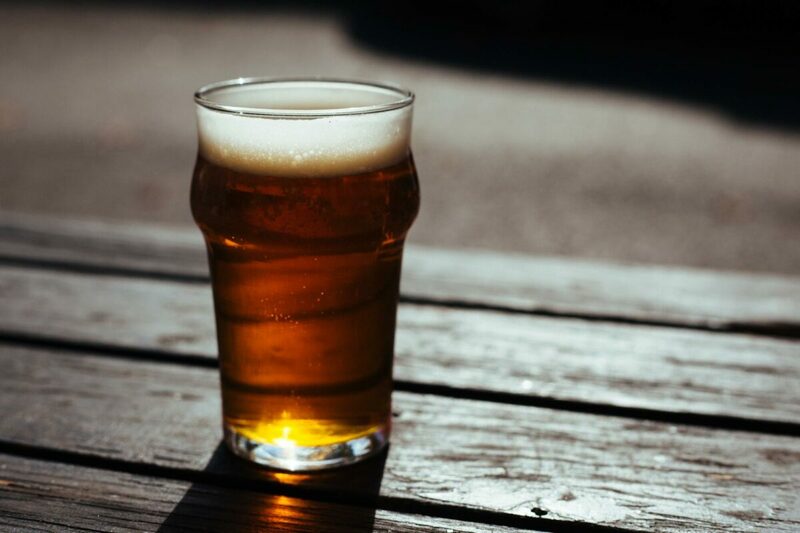 Generally speaking, hoppier beers, such as India Pale Ales and American Pale Ales, will not retain their key characteristics over too much time. You may not want to age them for that long if at all. Malty beers, such as Imperial Stouts, porters, lambics, Belgian Goldens, Scotch Ales, etc., will tend to get better with age. As long as you’re following proper aging procedures, feel free to go nuts with these! Whether you’re looking to store one keg or two, fifteen or fifty, we at Quicktap want you to know that we’re here to help you out with more tips about your craft beer kegs. Please feel free to contact us with any questions you may have or if you’re interested in our premium portable keg taps!